ExploreUSA RV Supercenter in Fort Worth serves the West Texas and Albuquerque, New Mexico areas. We are the Fort Worth RV dealer committed to ensuring that each customer we serve is given the most knowledgeable and helpful service possible. Whether you're considering your first RV or your trading up to the RV of your dreams, we hope you'll choose ExploreUSA in Fort Worth. We carry a large selection of New RVs and Used RVs at great prices. In-stock RVs include Travel Trailers, Fifth Wheels and Toy Haulers from most of America's favorite brands. If you need help to find the perfect RV, contact us today for personal assistance. 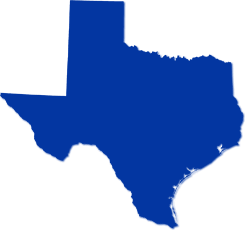 Or, use our RV finder to pick out the perfect RV for sale in Texas. Holiday hours vary by location. Purchase experience was great, Dustin got me a fair deal and even ordered the sleeper sofa to replace the dinette in unit that I purchased. Today was the walk through with Brian Walter and Dustin Cannaday. Brian walked me through all the ins and outs of the trailer, showed me the new camera set up. Everything has gone smoothly, excited to get out there and enjoy the new travel trailer. Holiday hours vary by location. Please call ahead.